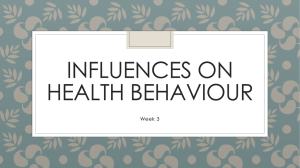 In personality psychology, locus of control refers to the extent to which individuals believe they can control events affecting them. 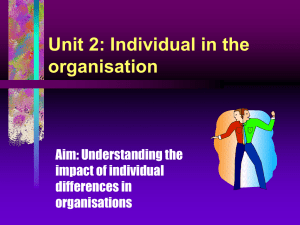 Understanding of the concept was developed by Julian B. Rotter in 1954, and has since become an aspect of personality studies. A person's ""locus"" (Latin for ""place"" or ""location"") is conceptualized as either internal (the person believes they can control their life) or external (meaning they believe their decisions and life are controlled by environmental factors which they cannot influence, or by chance or fate).Individuals with a strong internal locus of control believe events in their life derive primarily from their own actions: for example, when receiving exam results, people with an internal locus of control tend to praise or blame themselves and their abilities. 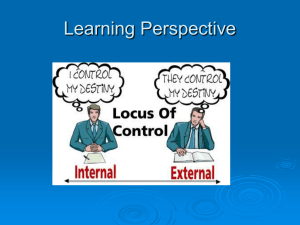 People with a strong external locus of control tend to praise or blame external factors such as the teacher or the exam.Locus of control generated much research in a variety of areas in psychology. 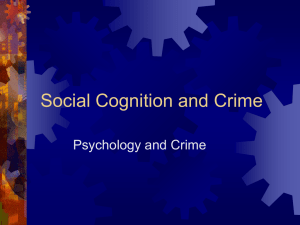 The construct is applicable to such fields as educational psychology, health psychology and clinical psychology. Debate continues whether specific or more global measures of locus of control will prove to be more useful in practical application. Careful distinctions should also be made between locus of control (a concept linked with expectancies about the future) and attributional style (a concept linked with explanations for past outcomes), or between locus of control and concepts such as self-efficacy.Locus of control is one of the four dimensions of core self-evaluations – one's fundamental appraisal of oneself – along with neuroticism, self-efficacy, and self-esteem. 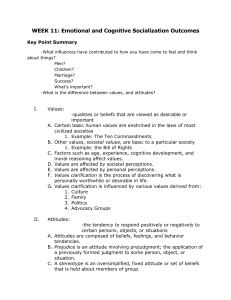 The concept of core self-evaluations was first examined by Judge, Locke, and Durham (1997), and since has proven to have the ability to predict several work outcomes, specifically, job satisfaction and job performance. In a follow-up study, Judge et al. (2002) argued the concepts of locus of control, neuroticism, self-efficacy and self-esteem measured the same, single factor.